To enjoy and view the stars, galaxies, and planets, you need a powerful telescope. It isn’t the ones pirates use in the high seas, but those that are as big as buses. So, what is a Cassegrain telescope? It is a type of telescope, which consists of two main sections: a primary concave/parabolic mirror and a small convex/hyperbolic secondary mirror. Incoming light rays strike the primary concave parabolic mirror then directed to the small hyperbolic mirror, which reflects the light back through a hole in the center of the primary mirror to a focus at the eyepiece. The tube length is shorter than the focal length. It is attributed to Guillaume Cassegrain (probably around 1672), a Frenchman. 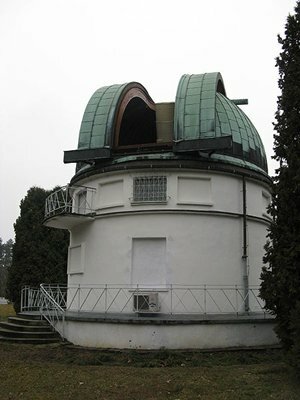 The Cassegrain telescope has spherical aberrations that are partially or completely covered because of its paraboloid-hyperboloid combination. Spherical aberrations happen when the incoming rays of light cannot converge at the center of the optic axis when they pass through a lens with spherical surface. Instead, they go at different points. This results in an imperfect and/or slightly blurred image. There also other improved versions of the Cassegrain telescope, such as the Schmidt-Cassegrain telescope, Maksutov-Cassegrain telescope, Ritchey-Chretien Cassegrain telescope and the Dall-Kirkham Cassegrain telescope.